POPULAR is bringing you the latest news from all the shows and parties taking place during NYFW. 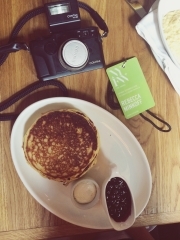 Check out POPULAR ambassador, Georgie Flores’s, NYFW diary from the Rebecca Minkoff Spring 2016 show. What look was your favorite part of the show? Why? That first white lace mini dress. Why? Because I want to wear it right now. Why do you like Rebecca Minkoff? It’s honestly my favorite brand for many reasons. I love the clothes and the fit. 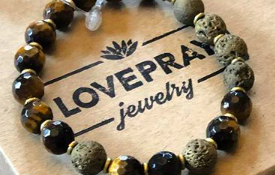 It can be worn for any occasion. The same dress I would wear during the day I can wear out at night. It’s not too expensive. And it’s ageless. When did you purchase your first piece of clothing from Rebecca Minkoff? It was a leather moto jacket that I still wear all the time. How long have you been wearing Rebecca Minkoff? 4 years. 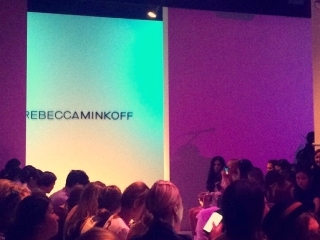 What characteristics would you use to describe the Rebecca Minkoff customer? Fine, Fresh, Fierce… jk those are Katy Perry lyrics.